When you jump for a layup, power through the hole on a football field or try to change directions on a tennis court, are you pushing off both legs equally or is one leg the "dominant leg"? Yet how do we tend to train? Squats, Deadlifts, Box jumps - all bi-lateral - or balanced on both legs. For this reason, athletes often perform well in two leg assessments, but cannot always transfer those skills to the single leg demands of their sport. Hence, the Athlete Training Clubs' week one test, the Single Leg Bound to Double Leg Landing. 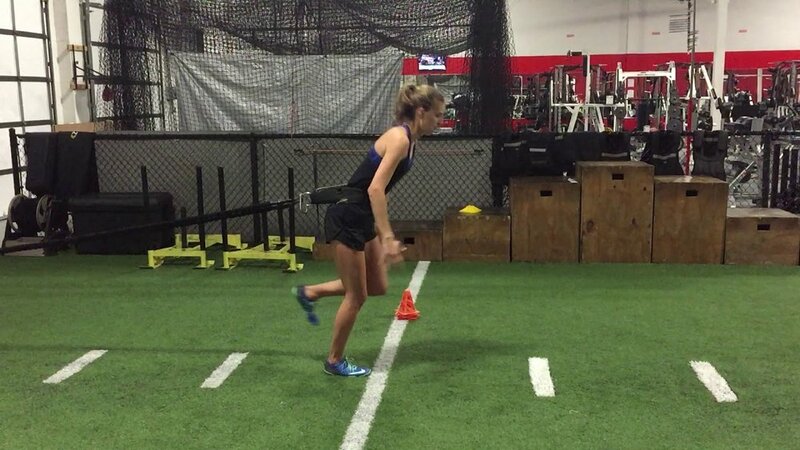 Like the classic broad jump, this test specifically measures an athlete’s explosive lower body horizontal power, but in a sport-specific way, on a single leg. Here coaches and athletes can more accurately assess an athlete’s elasticity and power, by their ability to rapidly load and stabilize on one leg, followed immediately by a rapid and explosive horizontal displacement forward, finished in a controlled two leg landing. Left to right leg capability, differentials, and asymmetries can easily be identified, providing valuable information to tailor training to improve performance, and reduce the risk of injury.